The course was primarily designed for medical and public health students as well as medical professionals, but the vast majority of the presentations can provide useful pieces of information for patients and basically for everyone interested in health and social media. The whole course is for free for everyone. How are the materials of the course created? The course is based on the elective course that is part of the official medical curriculum at the University of Debrecen, Medical and Health Sciences Center and the Semmelweis Medical School of Budapest, Hungary. All the presentations were made by the founder of that course, Bertalan Mesko, MD and feedback was provided by the Advisory Board. How can I take a test successfully? Each Prezi has a test. 1 test includes 25 questions, you have 30 seconds per question. 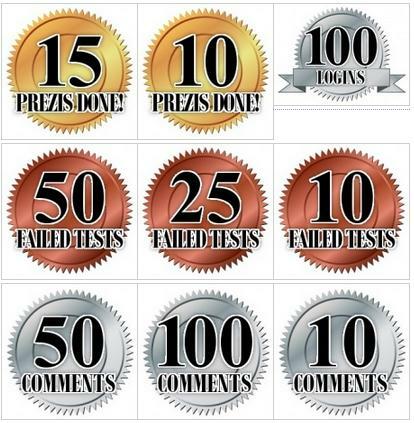 23 correct answers are needed to pass the test which also means the related badge is added to your profile which you can share on any social networks. What happens if I pass all the tests? 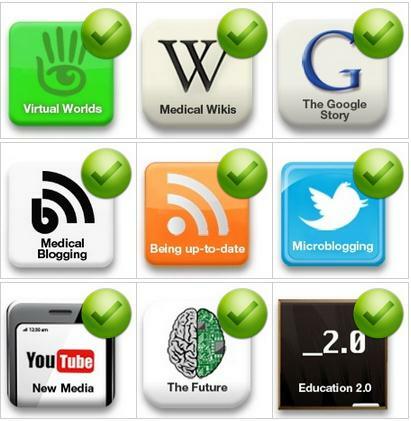 If you get all the badges, you can download a personalized certification proving that you successfully finished the course. The Prezi.com format makes it possible to update the presentations and hand-outs constantly. Please feel free to give feedback about all of these! How much time does it take to take one course? It's hard to predict as it depends on the individuals. Watching one Prezi approximately takes 40-80 minutes and taking the related test takes 10-12 minutes. You can access all the presentations, hand-outs and can leave comments without registration. 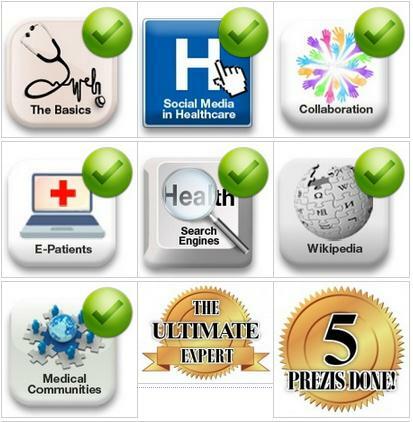 But registration is needed for taking a test and collecting the relevant badges. The process is easy and you can log in by using your Facebook or Twitter account as well. What kind of badges can I earn?